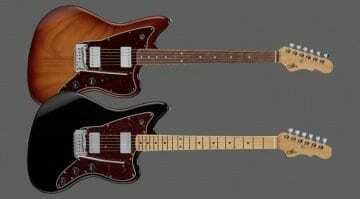 38 Results for "Leo Fender"
The new 2019 G&L Fullerton Deluxe Doheny HH model carries on from where Leo Fender's 1959 Fender Jazzmaster design left off, including some nifty features that extend the range of tones available. Fender Limited Mahogany Blacktop Stratocaster with triple humbuckers! 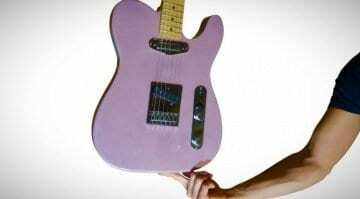 A Styrofoam Telecaster! 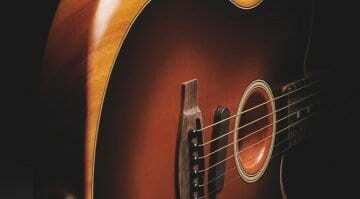 Is this the lightest guitar ever? Another incredible guitar from Burls Art: Following on from two models made of colouring pencils, his new Styrofoam Telecaster weighs in at 3.5 lbs. 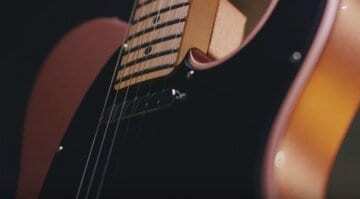 Could this be the lightest guitar ever? 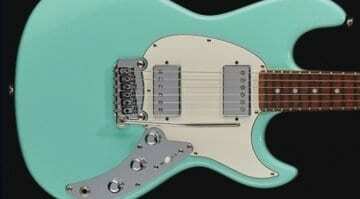 G&L’s Fullerton Deluxe Skyhawk HH: The best of bucker and single coil worlds? A one-trick pony this isn't: G&L's Deluxe Skyhawk HH includes the PTB system and coil taps, allowing you to coax more than just straight humbucker tones from its dual pickup design. 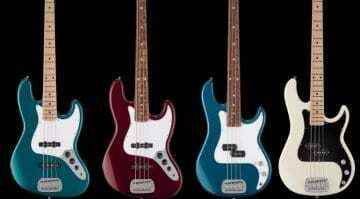 The new G&L Fullerton Standard basses that are made in the US and offer players a cheaper alternative with two new models the LB-100 and JB Bass. 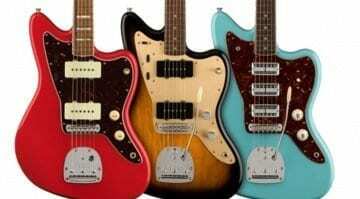 Fender American Performer Series new for 2019 – Too much choice? 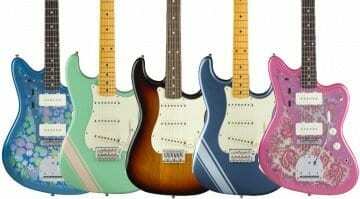 The news is out: Fender is about to announce its new American Performer Series for 2019, including Stratocasters, Telecasters, a Mustang, Jazzmaster, P-Bass, Mustang Bass and Jazz Bass models! 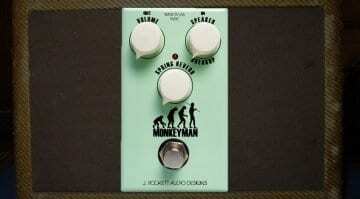 The new Monkeyman pedal distils the classic Fender Tweed amp tone and puts it into a surf green pedal. Will this new boutique pedal from the USA make you want to rock'n'roll? 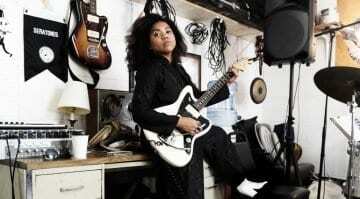 Fender says that women now account for half of new guitarists picking up the instrument for the first time. Could the likes of pop icons Taylor Swift and rock legends like Nita Strauss be the cause? 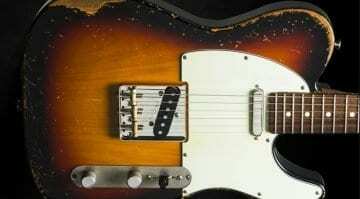 Leo Fender, designed possibly some of the most recognised electric guitars in history, but will one of his later designs garner as much interest in today's market? 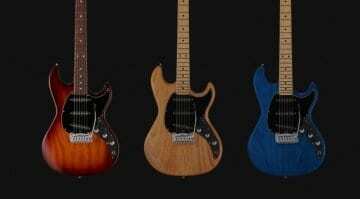 New boutique US built Telecaster-style guitars, with more options to customise than you can shake a stick at. 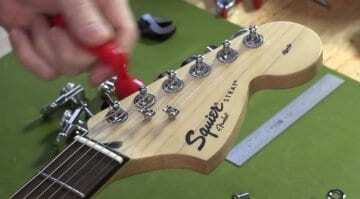 But will it rival make you switch from buying from Fender? 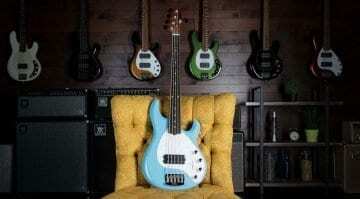 Ernie Ball Music Man Stingray Special: Lighter and more refined? 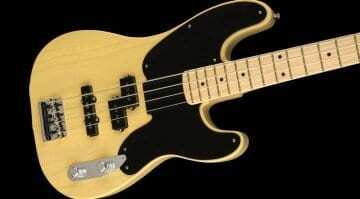 A new, tweaked version of the Stingray bass has been announced for 2018. It's lighter with a subtly altered shape. Will this update be enough to set the Stingray Special apart from the pack?